In its history, Finland has been part of both the Swedish and the Russian rule. Therefore, Finland has been influenced by food and cooking traditions from both the countries. Originally, Finland had two main food culture areas: the west was influenced by Sweden and the east by Russia. Later on Finland was divided into several provinces with separate food traditions. In the eastern areas of Finland, people built ovens in their houses according to Slavic model. The oven was used to warm up the houses and at the same time the warmth of the oven was used for cooking. Slow cooked dishes, such as casseroles, stews, pies and Finnish fish pasty, are typically eastern tradition. In eastern Finland, people baked fresh sour bread every week. In the western areas of Finland, people were more likely to use Germanic outdoor ovens. Food was cooked in a three-legged cauldron that hang over open fire. Soups were typically western foods. People baked bread huge amounts of bread only twice a year. The bread was stored either inside the main cabin (near the roof in long skewers) or in a bread storehouse. Swedish influence is particularly big at Christmas. Nowadays, we share a lot of dishes, such as pea soup, meat balls, Shrove bun, etc. 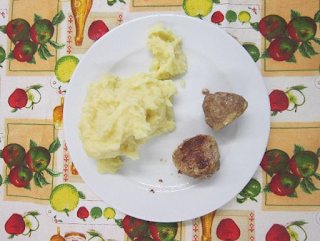 For this task, our 7th graders have prepared a dish from both traditions. 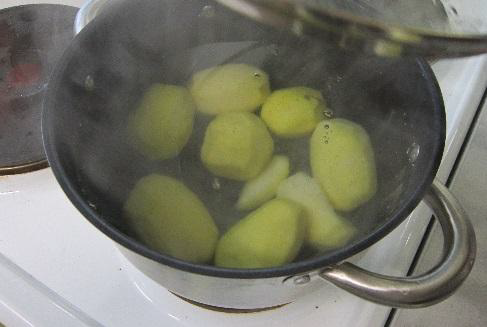 - Wash, peal and rinse the potatoes. If the potatoes are big, cut them in half. - Put the potatoes in boiling water and cook them soft. - Pour away the boiling water. Warm up the milk in the microwave oven. - Mash the potatoes. Add 1 dl hot milk gradually. Mix well. - Season the potatoes with salt. - Preheat the oven 225°C. - Mix liquid, egg and breadcrumbs. Let puff up for a short while. 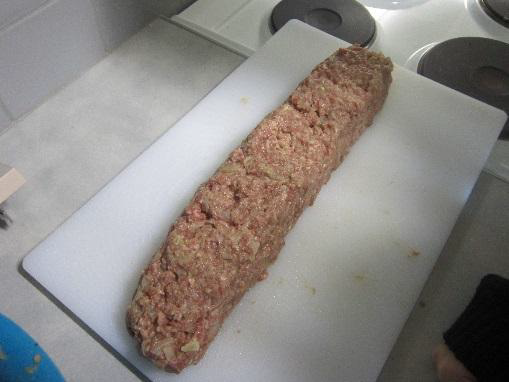 - Add minced onion, garlic, spices and meat. small pieces and roll them inside your hands. - Mix sour cream, egg and melted butter. - Mix dry ingredients together and add them to the dough. 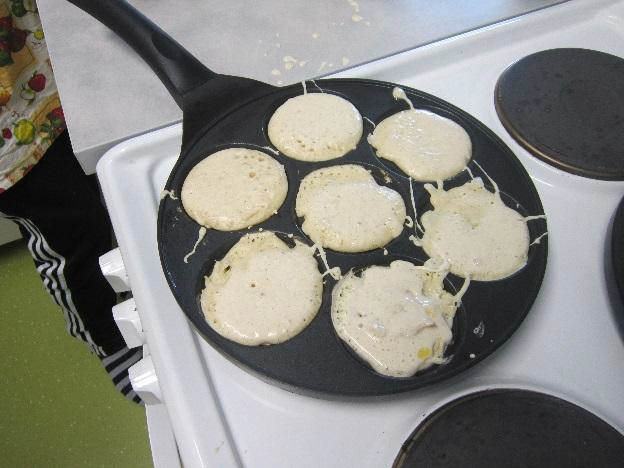 - Bake Russian pancakes on both sides using a small frying pan. 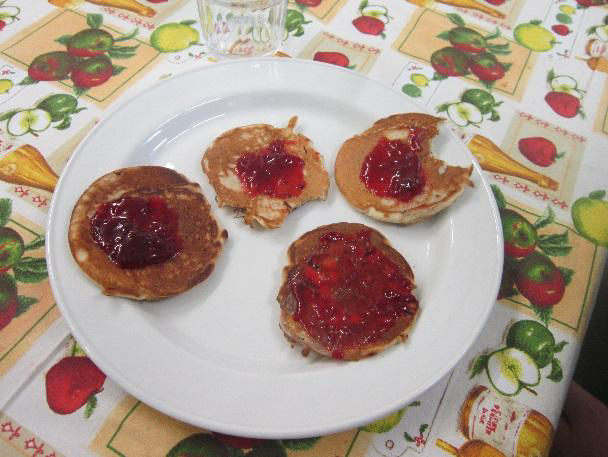 - Serve as a dessert and top the pancakes with jam. 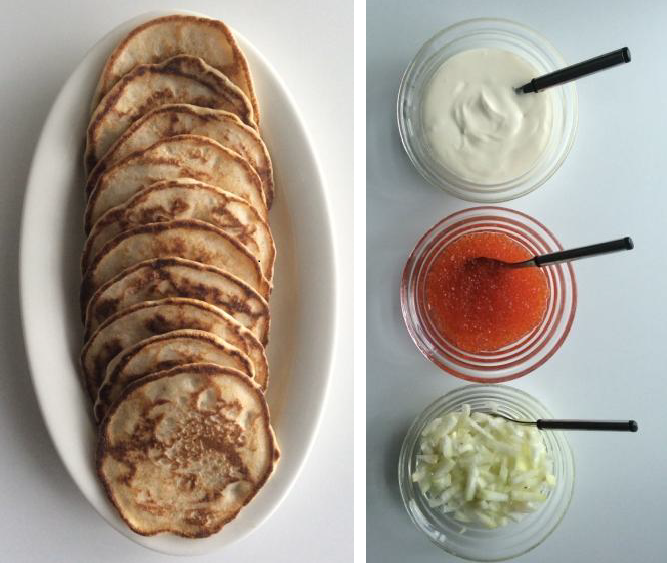 -Serve as a starter with sour cream, minced raw onion and roe.